The City of Warren celebrates the annual National Day of Prayer at Warren City Hall. The City of Warren celebrated the annual National Day of Prayer at Warren City Hall. Warren Mayor James Fouts and several religious leaders took part in the celebration of all faiths. All religious faiths were invited and attended. “This is a unique opportunity for all religious groups to unite and pray for world peace, a healthy economy and guidance in our daily lives,” said Mayor Fouts in a statement. Mayor Fouts spoke about praying for world peace, a strong economy, and city employees among other topics. The event, which typically draws hundreds of people, was moved indoors to the atrium of Warren City Hall due to rain. 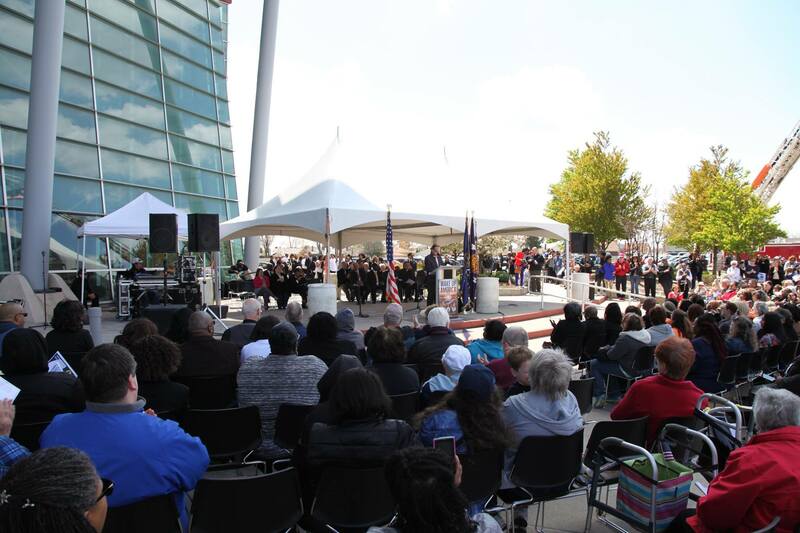 This is the ninth year that the City of Warren has celebrated the National Day of Prayer.